In her talk at TEDxSydney 2017, Diversity and Inclusion Consultant, Mariam Veiszadeh described how people with the most privilege tend not to admit, or even be aware they have it. As part of her mission to help us better understand how privilege and unconscious bias works, youth curator Caitlin Gibson interviewed Mariam at TEDxYouth@Sydney to discuss solutions on how to level the playing field. 2016 Fairfax Daily Life Woman of the Year, Mariam Veiszadeh is a Lawyer, Diversity & Inclusion Practitioner, Advocate and a Social Commentator. Proud of her refugee background, Mariam is passionate about championing the rights of minority groups in an endeavour to normalise ‘difference’ or rather, normality. 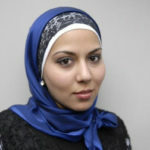 Mariam is an Ambassador for Welcome to Australia, which aims to provide a positive voice in the public conversation around asylum seekers, refugees and multiculturalism. Her experiences of cyber-bullying have been cited as a case study in several publications and books including in Tara Moss’ ‘Speaking Out’. Her influence is felt in the many initiatives she promotes across her social media platforms in which she collectively has close to 50,000 followers.